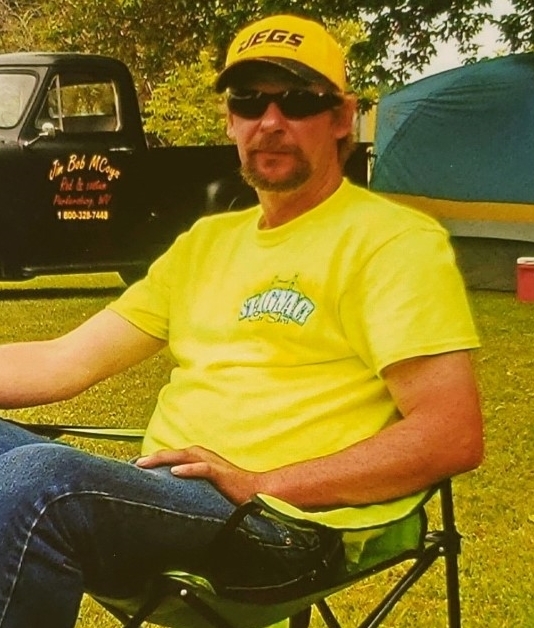 John Allen Simons, age 48, of Marion passed away at his home following medical complications on March 18, 2019. He was born on November 30, 1970 to Richard A. Simons and Debbie A. (Simons) Gilbert. John graduated from Kalkaska High School then went on to driving truck, he drove for UPS freight for 18 years. He loved hunting, fishing, being at the cabin with his wife on Sugar Island, and spending time at the car shows with his dad. John leaves behind his wife; Kerry Simons, step sons; Richard Moran and Tim Moran, grandson; Brent Moran and granddaughter; Mia Hughes, sister; Amy (Mike) McClelen-Simons, nieces; TeAnna (David), Veda, nephews; Tony, Jonte (Morgan) Abernathy, Aiden, and Noah, brothers; Jamie (Amanda) Gilbert of Kalkaska, MI, great nephews; Brent and Kevin. Shawn (Ashley) Gilbert of Kalkaska, MI, great niece; Rylee and great nephew; Kaden, great niece Gabby, great nephews; Xavier, Luca, and Zander. Step mother; Sheryl Simons and step father; John Gilbert. Mother in-law; Betty Porter, sister in-laws; Dawn (Ron) Freysinger, and Sandi (Al) Raymond, step siblings; Bj Aittama, Andy Aittama, and Holly Aittama, and many friends, whom turned into family and many aunts, uncles, and cousins. Proceeded in death by; his grandfather Carl D. Simons, Grandmother Ardena L. Simons, father; Richard A. Simons, and mother; Debbie A. Gilbert, stepbrother; Joey Gilbert, grandfather; Wallace L. Reed Sr., grandmother; Genevieve A. Reed, uncle; Wallace L. Reed Jr. “Skip”, aunts; Connie Horton, Patsy Burhans, cousins; Jason Burhans and Mark Muellar and great nephew; Oliver R. Abernathy, and father in-law; David James Porter.